Three people were injured after the car they were riding in crashed into a Libertyville home. 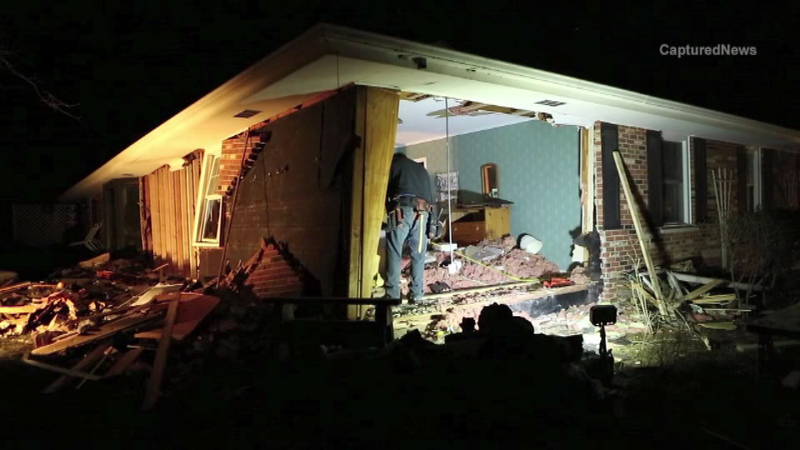 LIBERTYVILLE, Ill. (WLS) -- Three people are hurt after their car plowed into a home in north suburban Libertyville. The driver of the car lost control Tuesday evening and slammed into the home in the 400-block of Ridgewood Lane. The family that lives in the house was not hurt. They are now staying with a neighbor. All three people in the car where taken to an area hospital to be checked out.